Take a walk on the wild side with a tote that unleashes your inner diva. 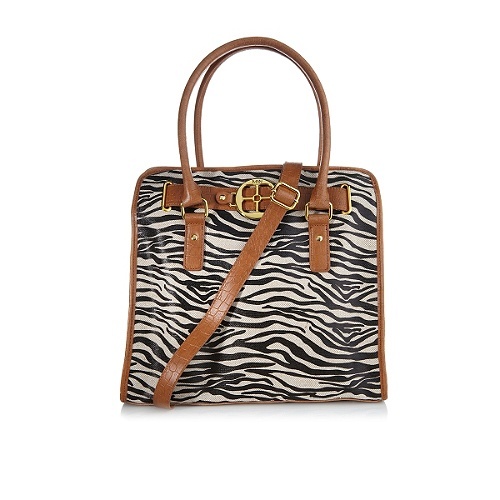 This animal-print tote is fashionable, fierce and the perfect way to carry your essentials with class and eye-catching style. Put down your passport and let IMAN bring home to you an unparalleled collection of accessories, fashions, jewelry and more inspired by her many travels throughout the world. From the bold sophisticated colors of Africa to the glamour of the Hollywood Hills and the fashionably chic streets of London, Paris, Milan, and New York, IMAN’s inspirations give you that jet-set style you’ve been looking for.